We continue this week's focus on Manning, Iowa with today's guest blog post from Jamie Blum, PT, DPT, OCS of Blum Physical Therapy. Jamie was born and raised in Manning, received her undergraduate degree from Iowa State University in Biology, and went on to receive her Doctorate degree in Physical Therapy from the University of Nebraska Medical Center. Jamie and her husband, Jeff, enjoy spending time with their daughters. In her free time you can find her biking, swimming, gardening, and attending Iowa State Cyclone sporting events. Welcome, Jamie! My husband and I were both born and raised in Manning. My family lived in town and had a farm a few miles outside of town, and my husband’s family lived in the country. When we graduated from high school we went to college first in Ames and then in Omaha. It was in Omaha where we started our careers and our family. Our first daughter was born in 2010, and when she was nine months old we decided that we were ready to move back to our hometown. We wanted our children to be able to grow up with grandparents, great-grandparents, aunts, uncles, and cousins around. We also wanted our children to be able to have the same great education that we received. With the fast growth of a local company, Puck Custom Enterprises, and a good healthcare system, we were both able to find great jobs near Manning. We moved back to my grandparents' farm, a place that I spent a lot of time when I was growing up. We were excited to be able to raise our kids in the laid-back farm setting where they could play in the dirt and climb trees all day. After only six months of being home, I had a crazy idea to open my own physical therapy clinic! I wanted to be able to create an environment where I was able to see patients one-on-one in a relaxed and inviting environment. I also wanted to be able to give myself some flexibility in my schedule so that I could raise my family. Now, six years later, Blum Physical Therapy is going strong and I really enjoy treating and getting to know members of the community. I love when I get to rehabilitate a kid for a sports injury, and then later on their grandparent after a knee replacement, and then maybe the parent after a shoulder surgery. I've found that not only has the business kept me busy, but there is so much to do in Manning. I love being able to bike on the trail system, go to community events, and attend my children’s sporting events (we now have three daughters with another child on the way). 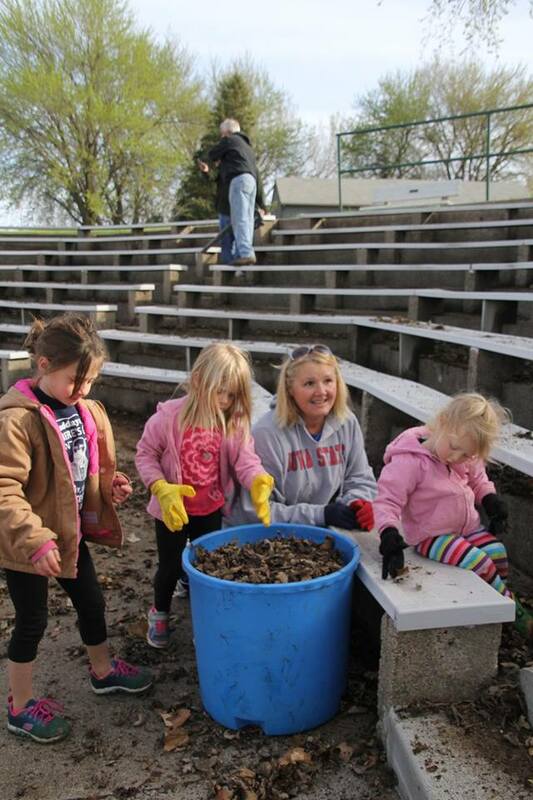 The small-town environment gives us a lot of opportunities to be involved in the community. It has given us the opportunity to teach our children that volunteering and taking pride in your community is important. One of my favorite things is volunteering with the kids for the City Wide Clean Up each spring. They love to help rake leaves and pine needles in the park and are proud of what they have accomplished when they are done. We have found since moving back home, we have more opportunities and a more fulfilling lifestyle than we ever did in the city. We are invested in the community and we want to help make this a great place to live!